One of the oldest complete sets of armour in the world, the Avant armour is named for the inscription on the breastplate meaning, Forward! The 15th Century Avant Milanese legs consists of polished steel cuisses and poleyns. The original historical armour was crafted in the city of Milan, which was renowned for its armour-making prowess, and kept in good condition in the castle armoury of a family in the Alps until the 20th century. 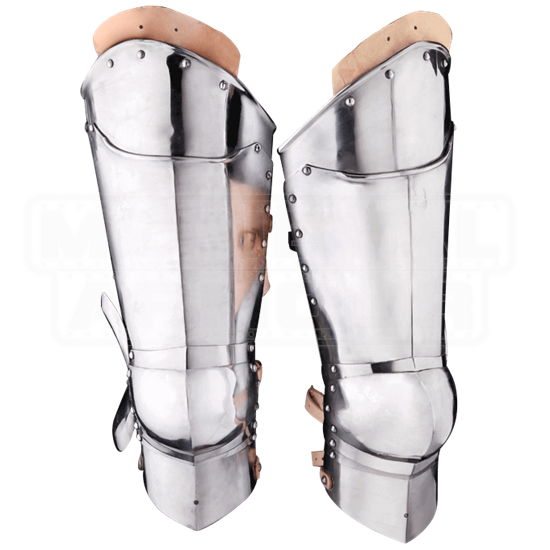 This functional armour works well for LARP events and historical re-enactments. Greaves and other armour are sold separately.